Emotion versus logic. Which takes precedence? "The facts are quite clear and I’m right!”, the union delegate states firmly. “No, you’re not! You’re definitely wrong!”, the manager responds adamantly. “Rubbish! You’re not even listening to me! Look at the facts”, the delegate retorts heatedly. “I-AM-listening-to-you-AND-you’re-entirely-wrong!”, the manager replies with staccato emphasis. “Well, you’d better hear this RIGHT NOW, and accept it… OR (threat follows)”. Do emotions change during the negotiation process? Maybe with different words and emphasis, similar dialogues can be heard between a salesperson and customer, between workplace colleagues, or between a parent and a teenager. Emotion swamps logic. It’s an integral part of the human experience and therefore plays a critical part in the negotiation process. At times we all experience strong feelings and during stressful situations these can erupt. Emotions also change during negotiation or any interpersonal event. 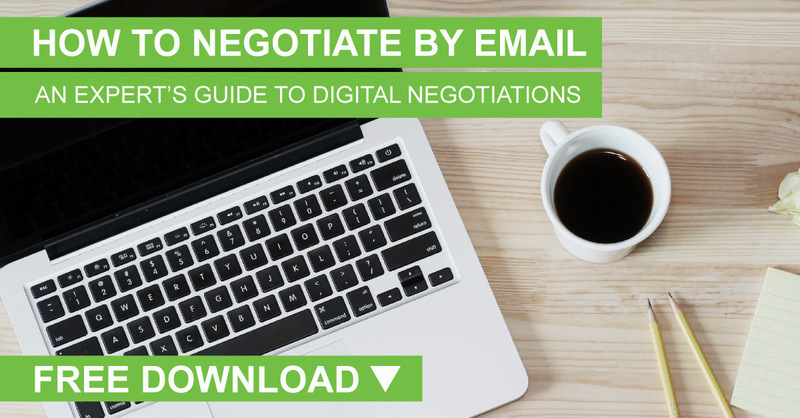 You might enter a negotiation feeling anxious. During the negotiation, you may become upset, even angry. At the close of the negotiation, you may feel pleased, or sadly disappointed. These personal feelings all impact on the overall negotiation ‘atmosphere’ and affect the negotiation outcome. Surprisingly, for a number of years negotiation researchers concentrated only on the cognitive and rational aspects of the negotiation process. They advised negotiators to suppress emotion. Even today you hear: “Don’t get upset”; “Stay calm”; “Be rational”; “Keep a poker face”; “Separate the people from the problem”. Nowadays, with the advent of neuroscience, supported by PET and MRI scans physically monitoring the impact of emotion on brain processes, there is more understanding of the impact of emotion. Instead of being thought to be in opposition to logic and reason, it is understood that emotion is an essential component of decision-making. In fact, it has been found that an absence of emotion while negotiating can be quite disruptive. Yet, there is nothing really new here. For decades social and organizational psychologists have been studying positive and negative ‘affect’ (emotion). They have shown that people in a positive mood evidence more confidence, are less contentious, are more collaborative and enjoy the interaction. Plus they are more likely to honor commitments. Those with negative affect, with anger being the most researched, are likely to be the opposite. They also tend to be more self-centred, to pay less attention to the other party’s interests and are less accurate in judging their own interests: negotiators note! Underpinning this is the well-researched ‘dispositional affect’. This is the underlying tendency for individuals to respond in a predictable way – positive or negative. So, consider carefully: how will the emotional component impact on your upcoming negotiation? Over the years we have highlighted the important negotiation competency of emotional awareness and management. 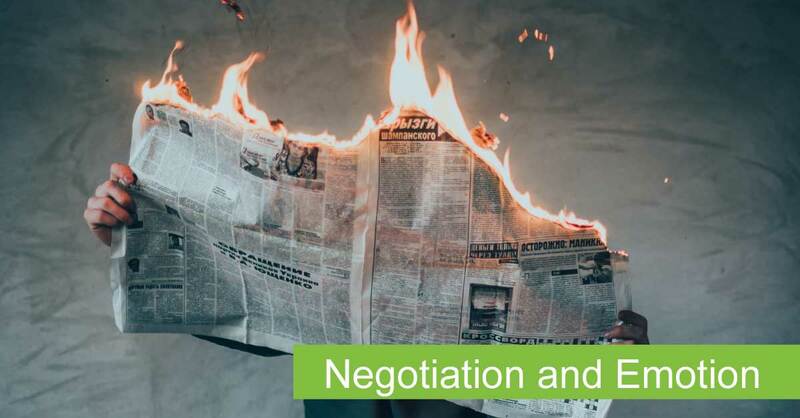 We advise negotiators, as part of their overall process strategy, to pay careful and continuing attention to establishing and monitoring the ‘right’ climate before, during and after each negotiation meeting. what degree of formality or informality do you prefer? how much tension or relaxation should you build? what atmosphere of ‘trust’ or rapport (vs mistrust) do you require? what feelings of confrontation or collaboration do you want to engender? The following principles* identified from neuroscientific research are useful when managing emotion during negotiation. We operate cognitively primarily in a ‘reactive’ mode, rather than in a ‘reflective’ mode. To discuss this article in more depth and explore developing effective negotiation skills, please contact us via email or call +612 9299 9688.